If you look closely at all U.S. paper currency, you will notice that there is a spider’s web that spreads across every single bill. 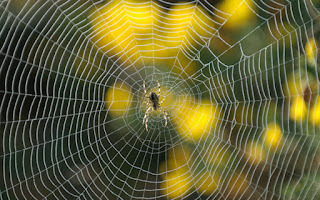 What is the symbolic relevance of the spider’s web? A few years ago I decided to find out by consulting J.E. Cirlot’s Dictionary of Symbols and looked up the word “cobweb.” I was amused by what I had found. It said that the cobweb with the spider in the middle represents the “consuming whirlwind” and conveys the oriental belief that evil lies at the center of the Wheel of Transformations, which the cobweb is a visual abstraction of. In the Buddhist tradition, the Wheel of Transformation is called the “Wheel of Samsara,” which is a reference to the continuous cycles of reincarnation spurred by our appetite for worldly pursuits. In the United States people often say that money is the root of all evil, but it seems that at the center of all U.S. paper currency, there is literally a hidden evil that devours those who are ignorant of its proper use and application. The magic lies in the fact that the very DESIGN of the U.S. dollar perpetuates a lust for material goods. Sure, there are greedy individuals in every country, but no where else in the world are people as possessed by their material possessions as they are here in America. This is primarily because there is no place else in the world where people suffer from a greater sense of lack. There are developing countries where people have far less than Americans do, yet nevertheless, they are more content than Americans are because they are rich in spirit. This richness in spirit is what has always inspired men and women to build high cultures together. As stated in part one of this four-part series, Green Magic is an applied spiritual science that enables us to materially manifest the abundance of internal wealth that is inherent in us all. We must come out of the red and get into the Black, because only when we are in the Black can we practice the Doctrine of Reception. Even the bible tells us that at The End of Days “the meek shall inherit the Earth” (Matthew 5:5). Yet was the bible talking about weak, submissive men and women somehow becoming the spiritual leaders of a renewed humanity, or was it talking about the super-symmetrically aligned, Weakly Interacting Massive Particles (WIMPs) that comprise the living corpus of Dark Matter and Dark Energy? You and I can throw valid speculations at each other back and forth until the sun bursts, but Father Time will be the ultimate judge. In ancient Kemet Heru-Het was the goddess of love, fertility, material wealth. She also represented the inherent power in the sexual libido that the Black Trantrists of ancient India called Kundalini energy. In all books in which Heru Het is called by her Kemetic name, she is called “Het-Heru” instead of Hathor. However, I recently heard a Blogtalkradio interview on UG Railroad with a young artist by the name of Ram Omar who said that the Kemau never put the equivalent of the letter “T” in the middle of a name. I honestly do not remember how to speak the ancient Kemetic language, so I cannot dispel or qualify Omar’s statement by using Kemetic linguistics as my guide. Nevertheless, as a student of the English language, Omar’s assertion really made me think. More importantly, it made a lot of sense to me. After all, Het-Heru translates to mean “House of Heru” a title that reflects what technicians of proper English syntax would call “The Passive Voice.” The Active Voice would be “Heru’s House.” If we are talking about a goddess who embodies qualities (which in this case would be love and sexual desire) that can only be expressed through ACTION then her name should be spoken in the ACTIVE voice. The name Heru Het, is a better reflection of that mode of speech. 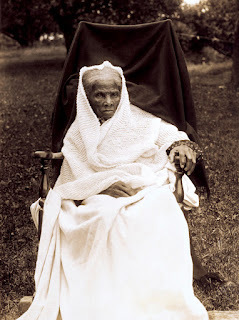 It is my opinion that the name “Harriet” is the English version of the ancient Kemetic name “Heru-Het.” Harriet Tubman’s dangerous journey along the famous Underground Railroad with runaway prisoners of war represents the exteriorization of an internal process that occurs within every man and woman who walks the path of spiritual enlightenment. The “Middle Passage” known as the sushumna is the spinal canal through which kundalini energy flows between the Ida and Pingala, which extends from the root chakra in the south, to the Crown Chakra in the north. However, the Heart Chakra is where we get our first taste of freedom from spiritual slavery. This is why New York City's Statue of Liberty, which is an adapted version of the goddess Heru Het, has broken chains and shackles at her feet. The goddess, holding the torch of liberty, has broken free from the shackles of spiritual slavery by activating her Heart Chakra. That is why she is green. A person cannot know true spiritual freedom until they have activated their Heart Chakra. Anything beyond that is just extra icing on a cake that is already delicious, to me. In order for the United States to compete with Great Britain—which was actually at the forefront of the Industrial Revolution before slavery was abolished in the United States during the late 1800s—it had to transfer its Kundalini current (i.e. 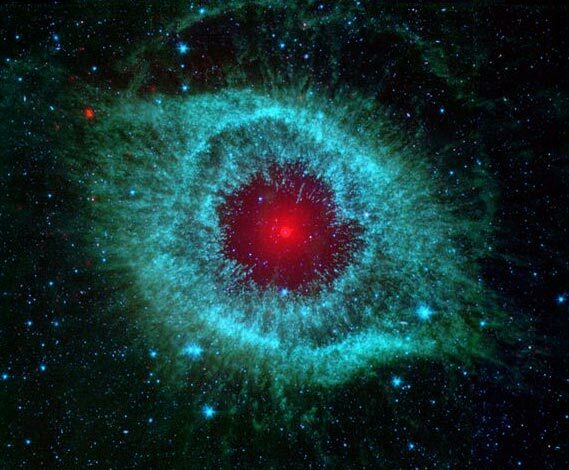 its African slaves) from the south (Root Chakra) to the north (Heart Chakra). The southern economy was rooted in the plantation system, while the northern economy was transitioning into an industrial one. Adopting the new industrial model was supposed to augment the intrinsic value of U.S. currency, and it did. Of course Ms. Tubman—who was the Heru Het of her time—played a significant role in that whole process. 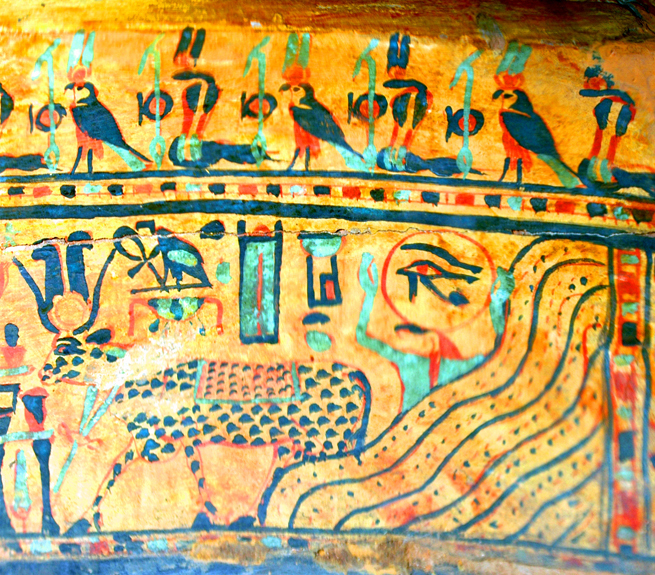 Heru-Het’s sacred animal was the cow, which believe it or not, has four stomachs. These four stomachs are four chambers, which the human heart is also divided into. 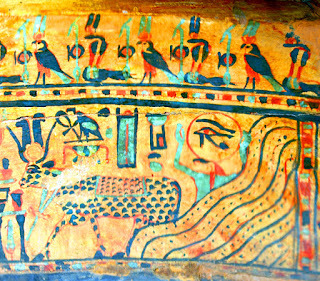 The goddess Heru Het, in the form of the cow, is the zoomorphic embodiment of your heart chakra. That’s why the goddess’ sacred color is green, which also happens to be the auric emanation of the Heart Chakra according to those who practice Tantra. Also, your heart is on the left side of your body, which is regulated by the right hemisphere of your brain. The right hemisphere of your brain is where all of your creative visualization occurs. Heru Het and Ptah were muses for artists as they both embodied the mental faculty of creative visualization. 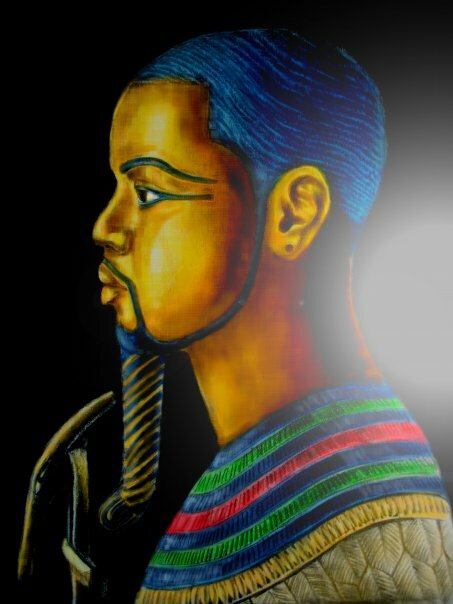 VERY early in pre-dynastic Kemetic culture all of Heru Het’s attributes were attributed to Ptah. When patriarchal culture became more prominent it became a lot more difficult for the Kemau to worship and respect a gentle, loving, male figure. Manhood, even in its most noble expressions, became synonymous with a deadly combination of indifference and aggression. Originally, Ptah did not fit into the new model. However, that all changed after many of his attributes were ascribed to the newly introduced female deity, Heru Het. Ptah was originally revered as an androgynous Ugandan animist spirit. His female consort was, literally speaking, the very land of Uganda. The whole story of Ptah rising from the Primordial Mound to construct the physical universe was inspired by The Mountains of the Moon, which is the source of the river Hapi (The Nile River) in Uganda. There is an etymological link between the words “moon” and “money.” Ptah appeared to his devotees as a man wearing a green skull cap, as opposed to the royal blue one seen in ancient Kemetic depictions today. Of course green is also the color of U.S. paper currency which is made out of hemp, which is a cannabis plant, which is where your sticky green Kush comes from. Both George Washington and Thomas Jefferson grew kush on their slave plantations which were populated by the sons and daughters of Kush. I don’t smoke, but if you do, and you appreciate what you’re reading, I strongly suggest that you light up a Franklin right now. accumulated on the metaphysical plane. 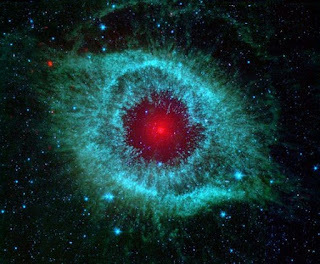 At the moment that you die and leave the earth, numerous souls will be incarnating and coming to the planet in the midst of your departure. The energy that your soul has accumulated can be quantified by the higher intelligence that we are all a part of. Many people call this intelligence God. If the energy that you have accumulated surpases your soul's deductible, which is the the collective energy possessed by the incarnating spirits at your time of death, then you are indeed a Light Bearer who will be reimbursed accordingly for the light that you have given to the world. How much light have you given the world today? The entire U.S. financial system is rooted in Green Magic. I will briefly explore how and why Green Magic was introduced to this world in my next post, The Lucifer Experiment.